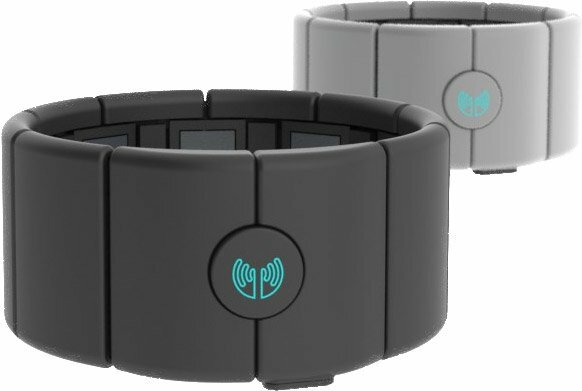 If you’ve always dreamed of being able to control objects just by thinking about it, you may be interested in MYO, a gesture control armband that is supposed to “unleash your inner Jedi” by monitoring electrical activity in your forearm muscles, and converting that into input commands transmitted wirelessly to the object to control. This can be used to control a quadcopter, or more simply your computer, smartphone, tablet, television, etc.. There are not many details about the technology behind it, but we do know it’s using Bluetooth 4.0 to communicate with peripheral, comes with a lithium ion battery, and will be powered by an ARM processor. It will support Windows and Mac computers, as well as Android and iOS devices initially. The company will provide an “MYO API” to let developers come with new concepts and products, the device will be available sometimes in 2013, and you can pre-order it now for $149.